Ghana have lot of Travell options either Public or Private all over the country. Although not all drivers are licensed but most of the driver in major and registered companies are licensed to drive those vehicles. Insurance and registration stickers are displayed in the front windscreen of all vehicles in Ghana, allowing easy verification that the vehicle is current. 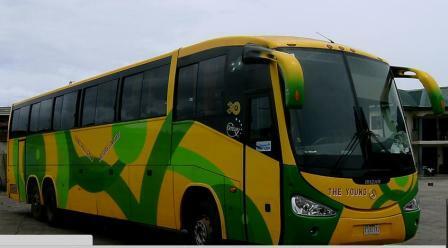 Most Of Buses in Ghana are usually used for long distances travell and between most major cities. There are plenty of bus companies that offer the same routes. 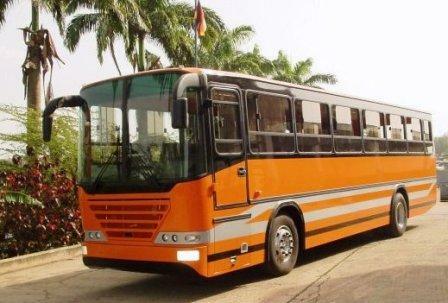 Almost all buses in Ghana are generally comfortable, fast and safe and their tickets cost range between GHS14 (US$6) and GHS24 (US$20.50), depending on what type of bus you choose. 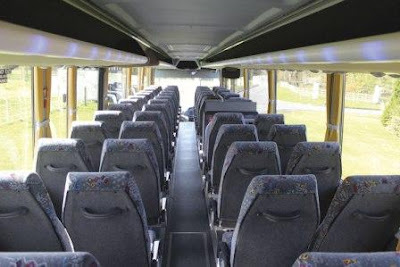 Customers and travellers should remember buses in Ghana charge an extra fee for luggage. 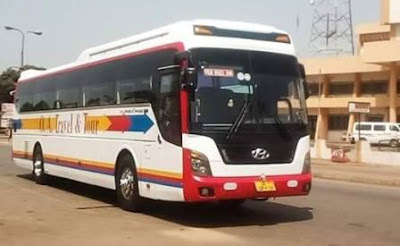 In Ghana there are several different bus companies like Kingdom Transport Services, City Express, Metrobus and Ghana Private Road Transport Union (GPRTU). However, State Transport Company (STC) and many more but these are the most trusted bus companies. 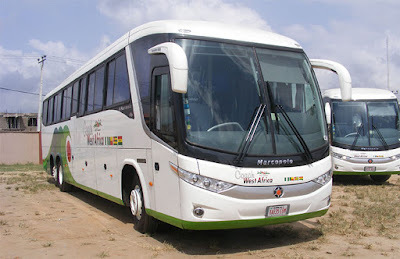 Bus Companies in Ghana can be grouped into two, In first group there are bus companies with better quality buses. These kind of companies have ticket offices where tickets can be bought in advance or just before the departure. It's better to buy tickets in advance, especially if traveling before or during peak season, holidays etc, when ticket can be sold out faster. 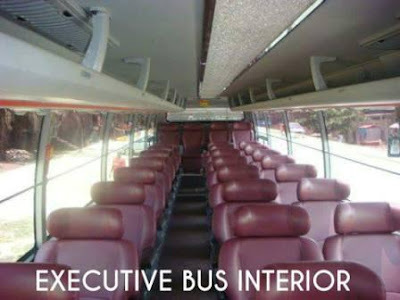 This first group of buses have comfortable seats (V.I.P. bus company being one of them), air condition, they more likely depart on actual time, are relatively fast and don’t stop on the way to pick up more people. Each of bus companies usually has only one station in one city and different bus companies are usually not situated together at the same station. Please note that you will always have to pay extra for your bigger pieces of luggage. At the STC company, STC staff will weight you luggage and you will pay per kilogram. It is not too expensive, but you are in Ghana, so you can always negotiate with staff. VIP bus and GH Express don't weight but just have fixed prices for the luggage, depends on the size. In the second group of bus companies in Ghana, there are other (smaller) companies. Their buses are at lower quality and don't use timetables. Tickets cannot be bought in advance since these bus companies don't have their own offices. Buses also pick up more people on the way and can be very slow, but tickets are cheaper. 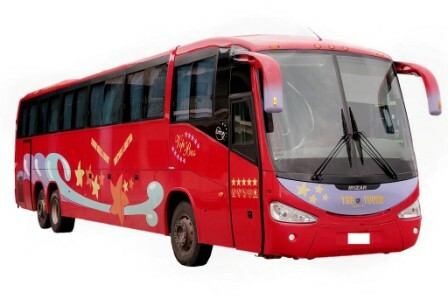 The above named companies provide Public bus services but their buses also are available for Rent and tourism purpose all the day. 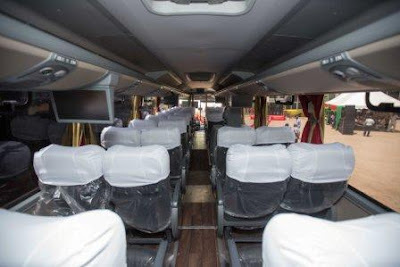 There are also some bus companies which have been registered for private use only like Tourism uses, Hiring services for school, Institutions, churches and other groups. The Young Shall Grow Motors is a transportation company in Nigeria, the young shall grow company started operating in 1972, later extend it service across all cities in Nigeria. 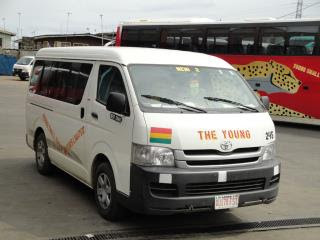 Currently The Young Shall Grow Motors have extend their service to other Africa countries, . Their Drivers are professionally trained, well informed, and empowered sufficiently. At Young Shall Grow Motors they are committed to providing quality service. Their friendly staff will give full individual attention to all of your transportation needs. Young Shall Grow Motors Transport Limited was found in 1972 by the Chairman, Chief Dr. Vincent Amaechi Obianodo MON (Member Order of the Niger), a business Mogul with a Midas touch. He is the Chairman of YSG Transport, Rockview hotels, YSG Dredging, Vineegas, Vineeoil, and YSG properties. He was the co-owner of Cellcom Telecoms, a Fixed CDMA Telecommunication Company which was later sold to Visafone in 2006. These Price Lists May be subjected to changes at any time depending on the circumstance prevailing in the Industry. Address: 76 Neoplan Station Road, beside Avenor Chemist, Accra, Ghana. Address: Accra Kumasi Road, Achimota, by Boomerang Night Club (Caprice), Accra, Ghana. Address: No 4 Amaigbo road, Umuna, Orlu, Imo. Address: Sonef Filling Station at 400m De Halle De Bamako Niamaicora, Bamako. Address: Opposite Nigerian Breweries, Alakia, Ibadan, Oyo. 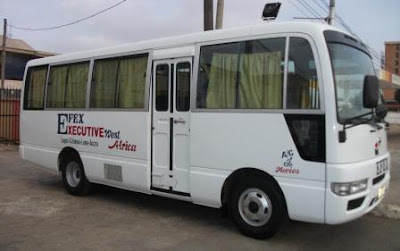 Efex Executive is one of the prominent transport companies in the Nigeria. Apart from Nigeria, their service extends to Ghana and several African countries like Togo, Cote D’Ivoire and Benin Republic. Efex began providing transport services over thirty years ago and they have maintained a standard of excellence and efficiency over the last three decades. Their transport service is top notch and their customer service is excellent. One of the things, Efex Executive does for its travellers especially those that have to travel outside the country is to handle all issues relating to their immigration and border travel. Efex Executive parades one of the best state-of-the-art fleets on the West Coast. Their Buses are fully air-conditioned, spacious and made suitable for long journey. They are also very suitable for business travel and tourism. They have on- board Video and Music players to entertain and refresh our customers, Also their buses and cars has an AC services. Efex bus rentals is equally available to our esteemed customers who may want to go on a group vacations, excursions or any other ceremonies. 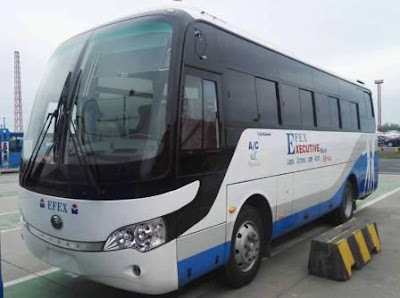 EFEX Charter Service offers a wide variety of alternate transportation services from 15 seater hummer buses, to 30 seater civilian buses charters. Our drivers are highly trained professionals ready to provide you with that quality experience. They Guarantee Your Arrival to Your Destination Will Be Safe and On-Time. They are available 24/7 for last minute or unexpected changes. 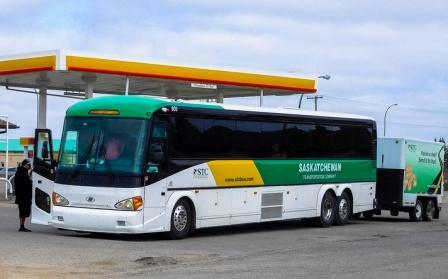 The Charter Bus Service is available for travel 7 days a week, 24 hours per day, 365 days per year. And also they have a night travel for a long distance routes. As the best provider of inter-city bus service in Ghana, M Plaza Coach are proud to provide you with a safe, luxurious and affordable travel experience. M Plaza Coach have over 50 coaches and buses to date. 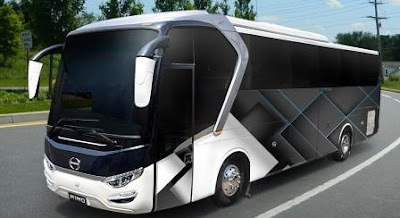 They proud to have luxury coaches and they assure you that all of their coaches are of Luxury class. Air-conditioning with individually controlling knobs. The company has its own purpose-built modern terminals at the destinations of routes plied. To-date, the route plied is Accra-Kumasi, and as such, both destinations have terminals built by the company and are labeled M PLAZA TERMINAL. Fenced, concrete-paved, flood-lit spacious terminals for 24-hour operations. All-weather secured ticketing area for purchasing ticket in comfort. Spacious passenger waiting lounges with comfortable seating and entertainment provision including video, music, and radio. Help Desk to handle customers with disabilities and others in need. It is expected that, unless the passenger with disability is not accompanied by a personal help as is normally the case, the M Plaza hostess on board, or in her absence, the driver himself will stop whenever critical, to offer help to such persons especially when the person is terminating his travel not at the terminal but elsewhere, where help will not be forth coming especially in the instance of as removing the wheel chair from the luggage hold and assisting the passenger to sit in it. Location: Near the new overhead foot bridge at Kpehe, Nsawam Road. Hotels in the Mariset and M Plaza chain. The Metro Mass Transit Limited is a public transportation company in Ghana. The company was set us to provide reliable and affordable means of transport for commuters within villages, towns, and cities as well as provide intercity movement. This service connects two cities/towns extending over a distance of 140 km. E.g. Kumasi–Sefwi Asawinso; Sunyani – Hamile; Tamale – Accra; Bolgatanga – Accra; Wa – Accra; Tamale- Kumasi; Accra – Ho and Cape Coast – Accra. This service accounts for 42% of the Company’s operations and transports an average of six hundred thousand passengers per month. This is a high frequency bus operations which connects central bus terminals to city outskirts. It provides medium-distance (25 – 100 km) transportation service to and from settlements surrounding a (regional) capital. E.g Tema – Accra; Obuasi – Kumasi; Sunyani – Kumasi; Takoradi – Tarkwa; Swedru – Accra; Winneba – Accra. O. A. Travel & Tour is a Ghanaian registered Company specializing in the provision of transport management services to the general public and the mining industry. Its head office is in Kumasi. Apart from the general public transport services within Ghana, O.A. 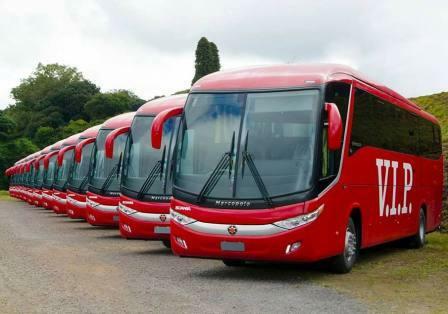 Travel & Tours is also providing transport services to the mining companies in AngloGold Ashanti Limited in Obuasi and Golden Star Limited at Bogoso. Opoku Agyemang who is a renowned businessman founded O.A. Travel and Tours. 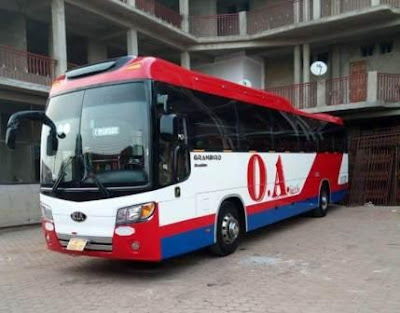 After its formal registration, as a transport service it was then named O .A. Travel and Tours. Initially it was operating under the GPRTU, till it started on its own, which has been successful over the years. O.A. has grown from strength to strength over the years with such hardworking staff. 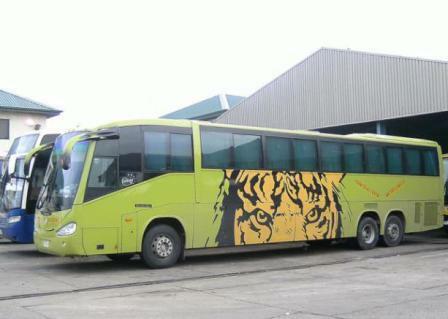 Buses imported from Asia, Indian and Europe. The interior decorations of O.A. buses are highly remarkable. Very nice quality curtains are used. 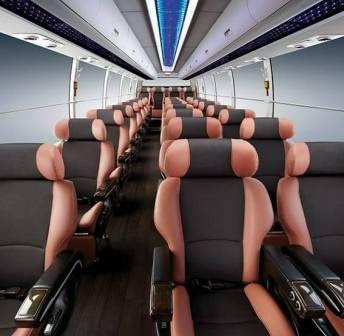 There are also video and television sets in the buses to ease boredom of passengers travelling long distances. O.A. Travel & Tours has a very dedicated and hardworking management board that has an oversight responsibility of seeing to successful operational activities of the company. 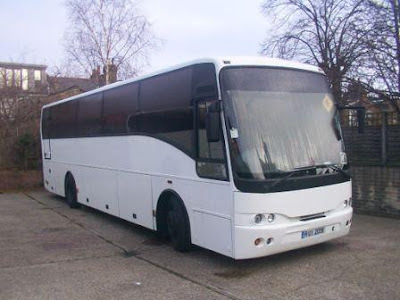 has a technical section that is made up of highly skilled technical men responsible for the daily technical measures responsible for the smooth running of the buses. O.A. can boast of hardworking men who are experts on the fields. As part of the high safety precautionary measures put in place by the management of O.A. Travel and Tours there are some road monitors in some buses. These monitors are like a television sets that enable the driver to have a long view of the road and also an accurate back view of the road. This device helps the driver to see the road very well and also detect an upcoming vehicle especially in negotiating very sharp curves and bends. The monitor serves as part of the safety standards set up by O.A. to increase its safety on the roads. VVIP Jeoun Transport Company Limited in Ghana provide for their customers a bus that has comfortable seats, air conditioning, they keep time, large seats, extra leg room and they provide direct transportation without detours or long stops. These services are not necessarily provided for in the trotros (minivans) and taxis. VIP transport fares in Ghana are higher priced as compared to the normal buses. Normally, the roads are not well done. 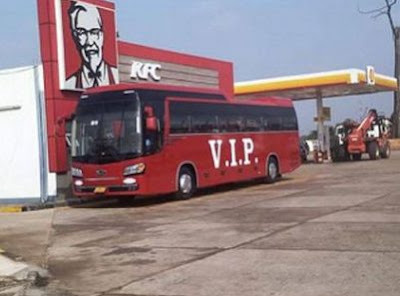 Therefore, some transport companies have tried to cure that menace by providing VIP buses in Ghana. Travelling down a road that is not well tarmacked can be tedious hence the large comfortable seats with enough leg room. On a hot day, the air conditioning in such buses is essential. 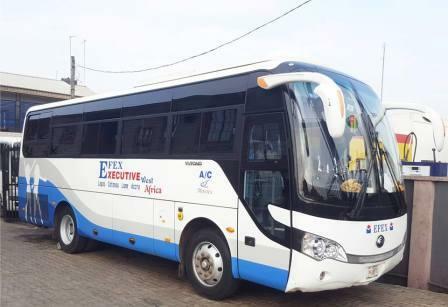 Therefore, VIP buses in Ghana may not be flight but they maximize on ensuring that the VIP experience is exciting and comfortable. No pre-booking available, just show up at the terminal. Their buses are ready for private tours, personal uses, Group uses with special agreements with the company. They are ready for hiring. STC (ISTC) Intercity Bus began in 1909 as a Government Transport Department to cater for the needs of the central Government. 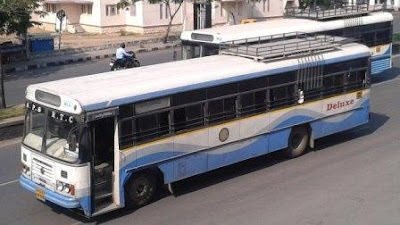 In 1965, it was made a body corporate by Legislative Instrument (L.I) number 414 of 9th March 1965 to run commercial passenger services and was then called the State Transport Corporation (STC). In January 1968, the Government also created a haulage division to cater for the haulage of both dry and wet cargo. This was also handed over to STC to manage as a bulk haulage division, to function alongside the passenger division. STC was later incorporated in June 1995 as a Limited Liability Company under Ghana’s Companies Act, 1962, (Act 179) in the name, State Transport Company Limited. Over the years, the company has gone through changes and is now known as the Intercity STC Coaches Limited since 2003 October. 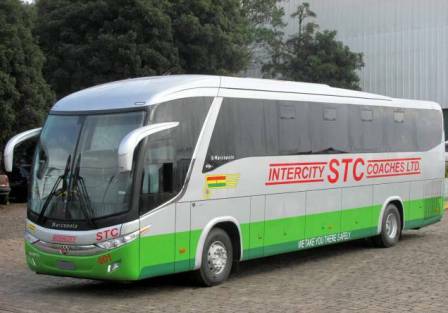 Intercity STC coaches limited has both domestic and international bus services to various cities in Ghana and some West African cities such as Abidjan, Cotonou Etc. Our international stations are located in these countries : Cote D’lvoire, Benin, Burkina Faso and Togo. Niger and Nigeria will be operational soon. 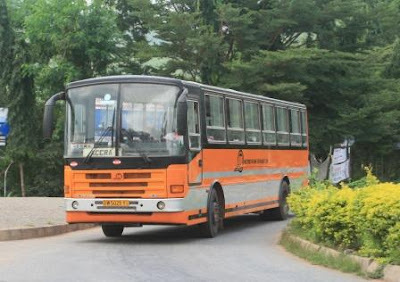 School transport has been one of the core corporate functions. We offer bus services to schools i.e. Universities, Polytechnics, Junior and Senior high schools. The Package / Parcel Express targets all corporate bodies that require rapid delivery of large, medium and small parcels to destinations in and around the company’s service stations. This includes major courier companies, pharmaceutical and chemical companies, financial institutions, security services, Government ministries, automobile companies, Non-Governmental Organizations (NGOs) as well as individuals. For Booking Contact the above provided means of communications, But You Can also have Online Booking by Clicking Here. For Departures, Schedules, Fares Details and time, Just follow this link. 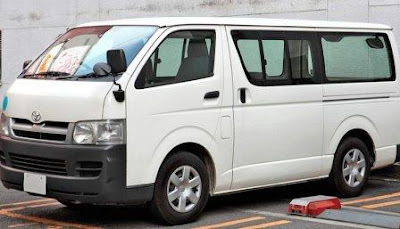 ABC Transport Lagos To Abuja Booking, Offices, Contacts & Price List. ABC Transport Plc ( commonly called ABC ) began the road transport business on February 13, 1993. ABC Transport operates bus services in various locations both within and outside Nigeria. 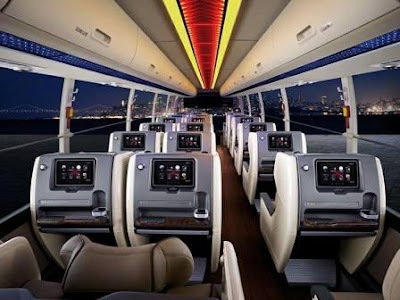 The company also offers comfortable lounges in different cities like Lagos (Jibowu & Amuwo-Odofin), Aba, Owerri, Port-Harcourt, Abuja, Enugu, Onitsha, Umuahia, Jos, Mbaise, Bolade, and Accra (Ghana). Its head office is located at Owerri, Imo State. It provides road travel services to local locations such as Calabar, Owerri, Awka, Mbaise, Umuahia, Jos, Uyo, PortHarcourt, Okene, Kaduna, Benin, Enugu, Ibadan, Onitsha and others. International destinations include Ghana, Togo, and the Benin Republic. ABC Transport was awarded the Best Transporter in Nigeria by the Chartered Institute of Transport, Nigeria and has consistently won the National Bus Operator of the Year Award along with other accolades. 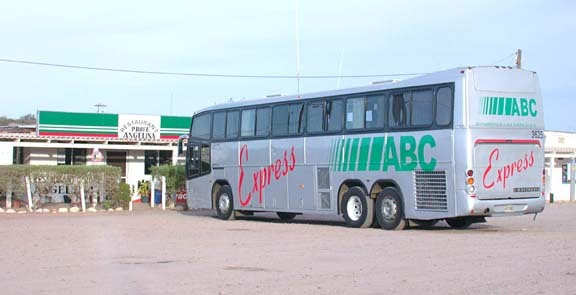 ABC Trasport classifies its coach services into; Executive Express, Shuttle services, Coach West Africa, Cargo Express, Sleeper services and Sprinter service. 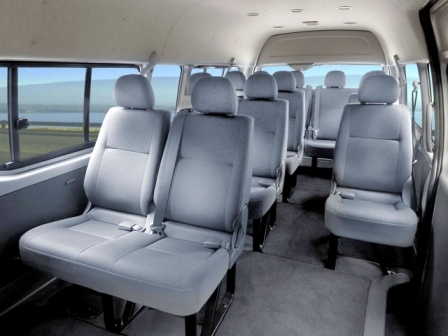 Its bus capacity ranges from 14 to 52 seater vehicles. Online booking options are available on the ABC Trasport website. One might also prefer to book ABC Trasport bus tickets via 3rd party online ticketing partner. ABC Transport also offers discounted fare to students and Youth Corpers. Children also a receive a discount of 50%. 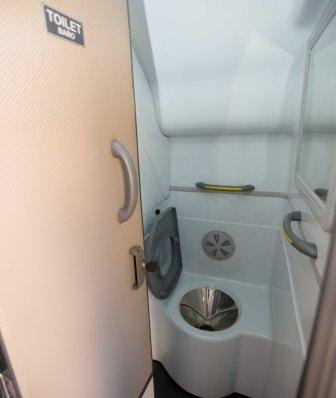 Coupled with its affordability, ABC Trasport also provides comfort for all its passengers. All vehicles are air-conditioned, the Executive Express vehicles are also fitted with DVD players. ABC Trasport company provides courier services through their subsidiary called ABC Express Courier Limited (ABEX) which was established in 1997. ABEX promises 24 hour delivery of packages to almost all locations within the country.